Bankruptcy practitioner for over 35 years; We are living in a very difficult economic era. Many people these days are faced with home mortgage foreclosures, wage garnishments, repossessions, and loss of employment. Other families are living from paycheck to paycheck and barely getting by through no fault of their own. Often, there is just one small economic event, such as divorce, a foreclosure, wage seizure, medical emergency or a loss of a job to that causes a individual or family to fall behind in making payments to creditors. Mr. Huffman can help such families or individuals get a fresh start— either by working with your creditors or filing for bankruptcy relief, under either Chapter 7 straight bankruptcy or a Chapter 13 bankruptcy plan. Mr. Huffman also specializes in working with businesses and business owners that are financially troubled. He has considerable experience in arranging workouts with lenders and creditors, negotiating forbearance agreements, drafting payment plans, and advising companies that are heavily in debt. If you or your business are in financial distress and need answers, call our office for a free consultation with Mr. Huffman. Certified Real Property Law Specialist by Minnesota State Bar since 1990; In addition to having an active practice and expertise in Bankruptcy law and Business law, Mr. Huffman practices in all aspects of real estate law, such as Residential and Commercial Purchase Agreements, Title Opinions; Mortgages; Contracts for Deed; Closings; Leases; Unlawful Detainer and Evictions; Construction and Remodeling Contracts; Easements; Boundary and Title Disputes; Title Registration and Quiet Title Actions; Mechanics Liens, Condominium & Owners Association law, including formation and governance; Foreclosure Assistance and other real estate matters. 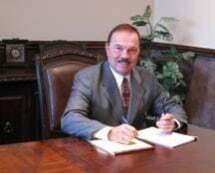 Since 1990 he has taken the required courses and test to become certified by the Minnesota bar Association as being a Real Property law specialist. Call Mr. Huffman for a free, in person, meeting to discuss your particular real estate issue. Business and Commercial Law: Mr Huffman handles various general business matters such as Incorporation, Corporate and Limited Liability Company Governance and Dissolution; Partnerships and Limited Liability Entities; Purchase and Sale of Businesses; Joint Venture Agreements; Buy-Sell Agreements; Business and Equipment Financing and Leasing; Employment, Dealership, and Non-Compete Agreements; Confidentiality and many other types of business agreements; Trademark and Trade Names registrations. Mr. Huffman has achieved one of the highest lawyer ratings by AVVO, a nationally recognized lawyer search and ratings organization. There are also numerous client reviews and client recommendations on his AVVO site. You may visit Mr. Huffman’s rating and site on AVVO by clicking on one of the AVVO AWARD badges at the bottom of this page. There you will find reviews written by many of his clients. Additionally, Mr. Huffman has been awarded a Martindale-Hubbell Peer Review Rating of 'AV- Preeminent' which is the highest possible rating in both legal ability and ethical standards.